Fiona completed the Ballymaloe 12 Week Certificate Course in 1997 and explains why she chose to do the course and what she is doing now. I am a Ballymaloe trained chef and have a Degree in Education from Trinity. Having worked as a chef at Ballymaloe House, I started my own successful catering business in Dublin in the late 1990s, catering for Private and Corporate functions. I then moved to Australia where I lived for eight years. 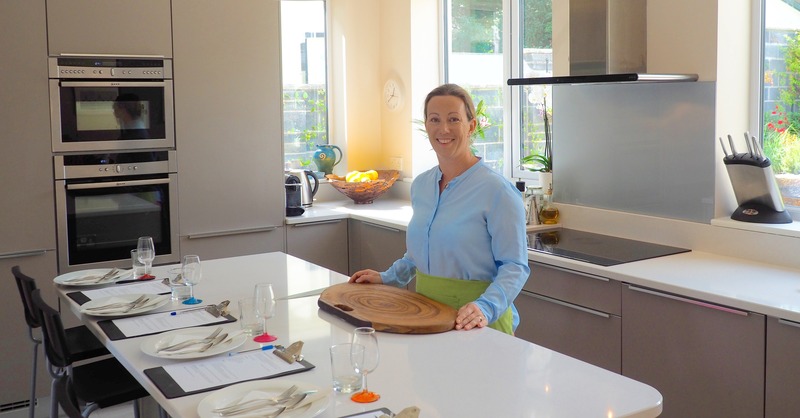 Now as a Mum of two young children, I am passionate about healthy wholefood family cooking and have decided to open up my home for cookery demonstrations. Demonstrations take place in Foxrock, Dublin 18. I also offer Corporate Healthy Cooking Demonstrations, where I come into your office and demonstrate to empoyees. I am passionate about healthy wholefood family cooking. Do you need some inspiration for your cooking? Come along to a demo, come hungry and bring a friend! I want to show you how to create healthy treats and to take the hassle out of home cooked meals for the whole family. Come along to Fiona’s Food For Life for an informative relaxed demo and go home confident that you can create delicious, wholesome meals to impress your family and guests.